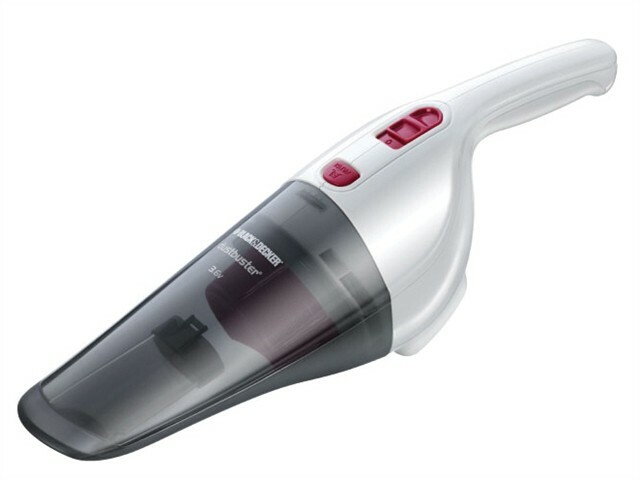 Black and Decker NV3620N-GB Dustbuster is a 3.6 Volt cordless hand vac that is ideal for light cleaning tasks around the home. Its light weight cordless technology allows for 'grab & go' convenience. Ergonomic design allows for maximum user comfort. The quick release bowl feature saves time and keeps your hands clean. The wide mouth means this vac can effortlessly scoop up large debris, such as pet food and cereals.The dirt bowl is translucent, and bagless making it easy to see the dirt and know when it needs emptying and has 30% more capacity than before. Removable, washable dirt bowl and filters allow for a thorough, hygienic clean. Includes a brush tool included for cleaning delicate surfaces, and a crevice tool included for accessing tight spaces, such as inbetween sofa cushions. Charging base can be placed on a counter top or attached to the wall. First Time Charge: 16 Hours.